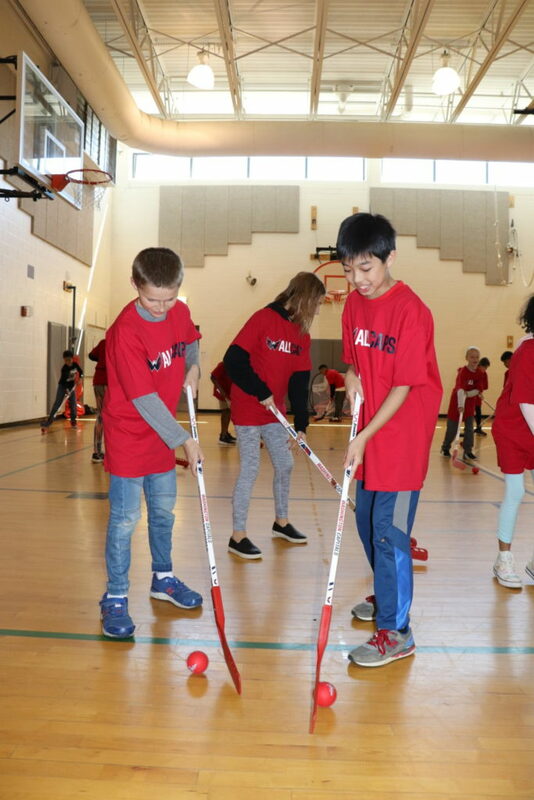 College Gardens Elementary School is the first Montgomery County public school to test out the new Washington Capitals street hockey gear. 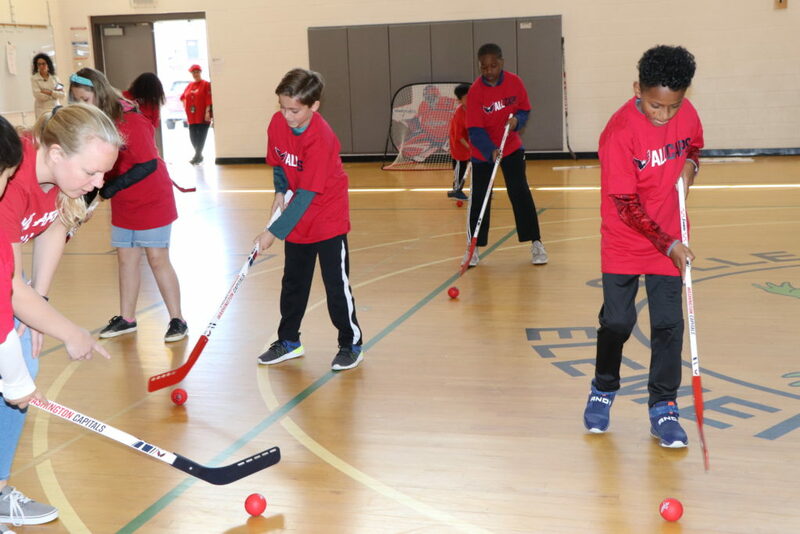 MCPS announced Monday morning that they’re partnering with the Washington Capitals to introduce street hockey to more students. All public elementary and middle schools in Montgomery County will soon have street hockey equipment — branded with the Caps logo — available in their physical education programs. 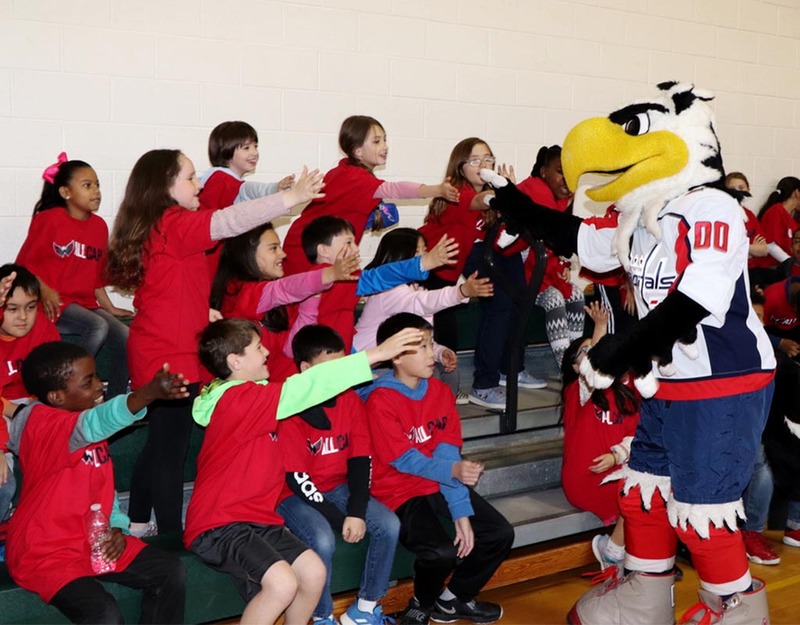 On Monday, College Gardens Elementary students not only previewed this new street hockey equipment, but they also got to meet Slapshot, the Washington Capitals’ mascot. The Caps are currently taking part in the NHL playoffs but Slapshot managed to make his way over to show his excitement for the new partnership with MCPS! 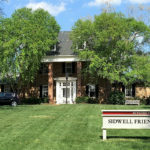 Check out pictures, videos, and tweets from the presentation. Here’s a recap from the presentation in tweet form. 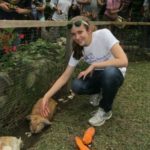 He even took a number of group photos with the students. Students were eager to test out the new street hockey equipment. They all were given t-shirts that said “All Caps” to show their spirit for the new physical education initiative and partnership with the Washington Capitals. The students looked like they were future hockey professionals, once they started playing around with their new hockey sticks.